From Code Camp to Product Camp and now to Marketing Camp, Silicon Valley leads the way in these unusual non-commercial “un conferences”. 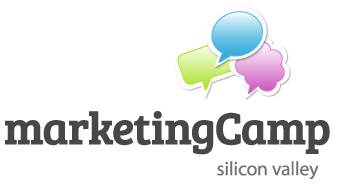 Join me and a few hundred other marketeers on Sat Nov 3rd as the inaugural Marketing Camp takes place on Nokia’s Sunnyvale campus. Seems like quite a few people are interested in my talk on “How to be a marketing consultant”, so that talk is likely to go – though a few more votes are needed to be sure. On the other hand, not many marketeers care to join me on my “What the DOT domain is going on” subject. Is it too specialized or they just don’t care about the relevancy of domain names? Or are they leaving it to the few domain and naming gurus who care? Plus plenty of time for networking. Ping me in advance of you want to confirm a meetup.